Hi! I’m Lori. I’m a graphic designer by day, baker by night, and somehow I still get a decent night’s sleep, as long as my 2-year-old daughter is snoozing away in the next room! My baking obsession started in my teen years while helping my mother during her 3-month-long baking frenzies for the holidays. Yes, 3 months! She would start out in September when my brothers and I go back to school, dive into her green recipe box and pull out at least 10-15 different recipes, and then she would bake until her heart’s content. Later on, she “retired” from baking, because I pretty much took over. When I started, I was given permission to go through her little green recipe box, pull out one recipe after another, and start the baking frenzy. 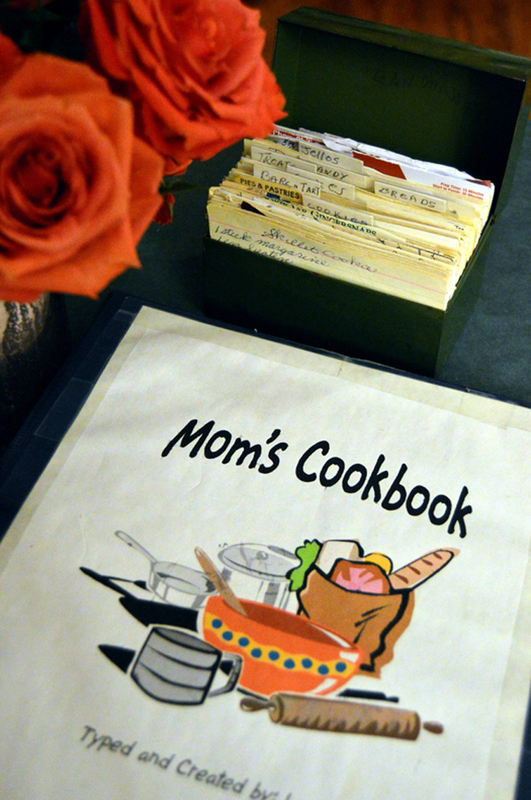 When I started college, I thought it would be cool to start a little side project: Create a cookbook for my mom. It was a genius idea at the time, and it was probably the most painful to my fingers, but Mom was ever so grateful of my 3 month’s worth of typing out her found recipes as well as her own. Using that card-making program from Windows 98 came in handy to create dividers and a cover, which I taped on the front of a blue 3-ring binder! Today, I’m still continuing on with the 3-month-long holiday baking frenzy…well, with the exception for the past couple of years; a life-altering experience occurred (note the 2-year-old daughter snoozing away in the next room! ), and I love it! With my mother’s passing several years ago, I wanted to keep the spirit of baking alive as well as continue making all the goodies that she once made so everyone in our family and our friends can enjoy; it especially keeps my father happy. And now, I decided to go beyond the boundaries and share these great recipes with everyone. I’ll even share with you some of my baking victories and failures, as well as some other little fun treats on the side, like food discoveries while I travel and maybe a little taste of my design and photography work. 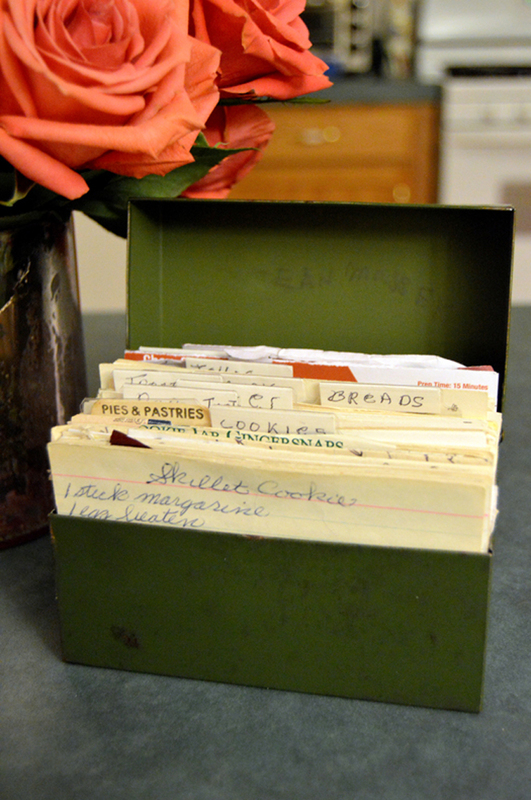 I now hold claim to that little green recipe box, and I still have that ugly, blue 3-ring binder, too! My goal is to design and publish a cookbook with not only some of my mom’s recipes, but also with my own delicious creations. Maybe this time it won’t be so ugly looking!